Great gift for the smallest fans! 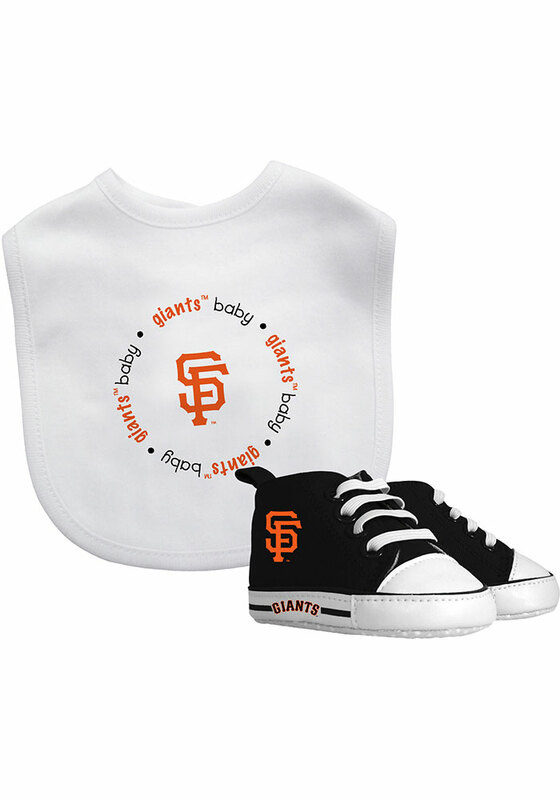 This San Francisco Giants White Bib with Pre-Walker Baby Gift Set makes a great gift for any new parents of a future Giants fan. Featuring a San Francisco Giants embroidered logo on cotton-front bib and team color slip-on shoes. Pre-walkers slip on and feature team logo, soft fabric upper with white laces, grippers on the bottom, padded soles, and a supported toe cap for stability. Bib is embroidered with team logo and Velcro closure, this Baby Gift Set will delight any new parents.